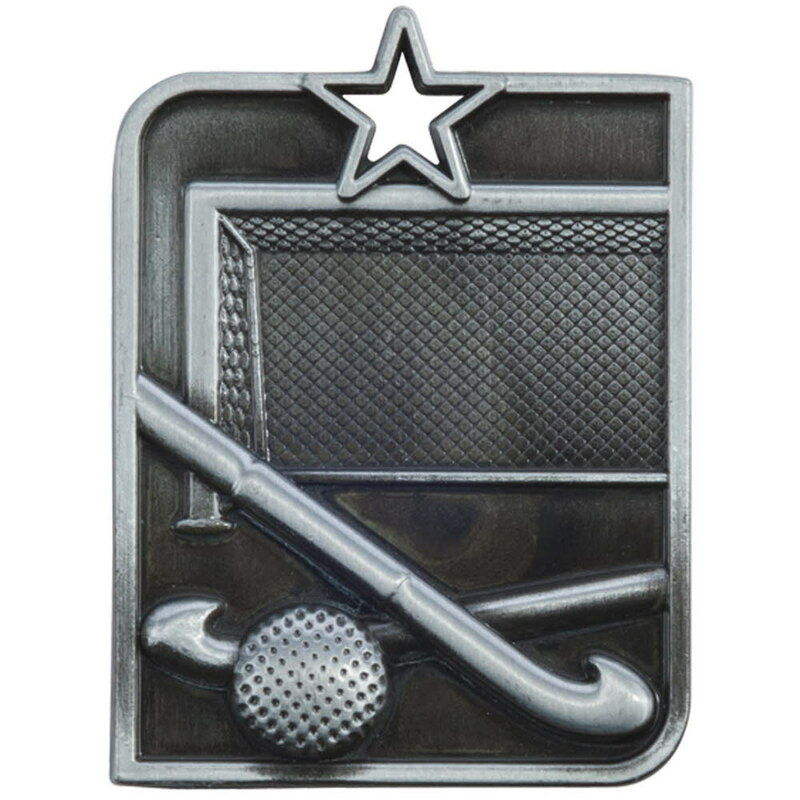 53mm x 40mm Heavy metal hockey moulded Medal and Ribbon included, red white and blue ribbon. Available in gold, silver or bronze. 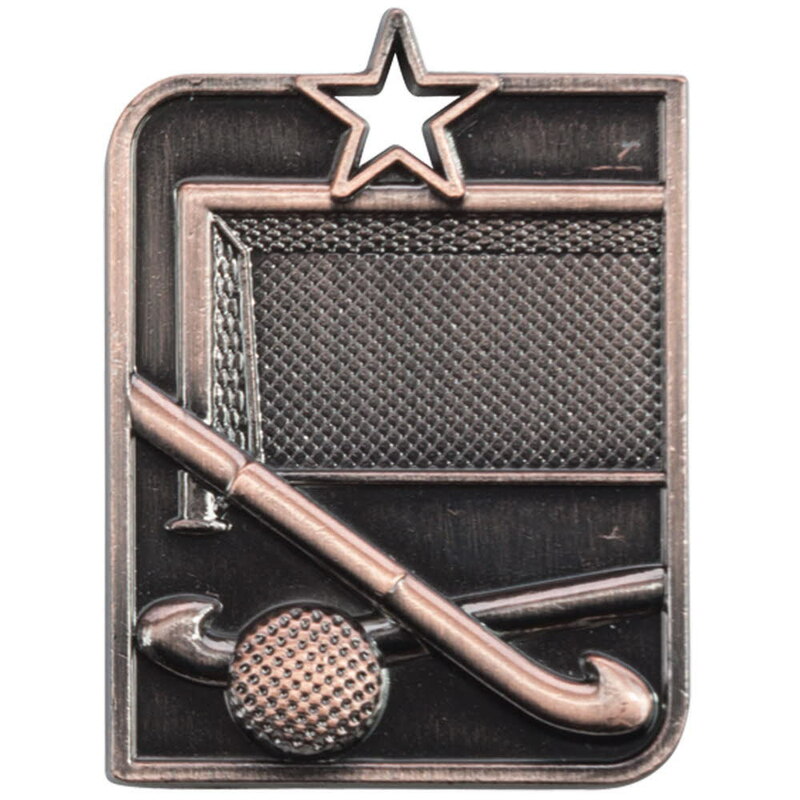 Special price hockey medal and ribbon. 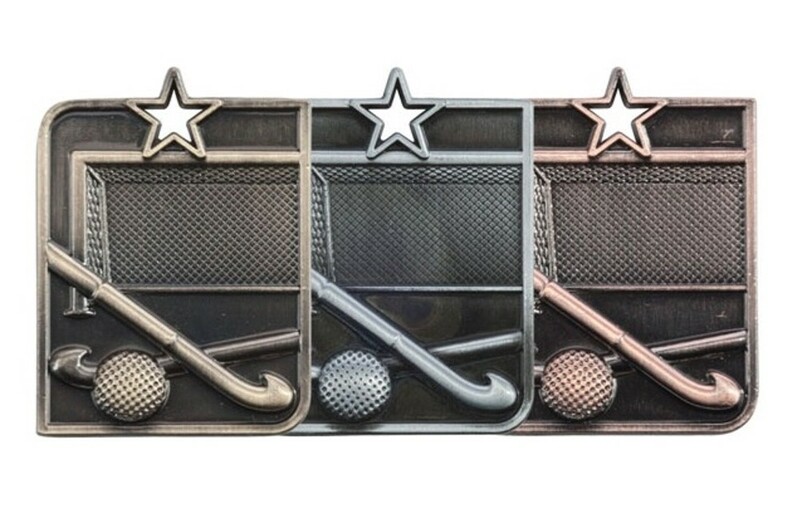 Other sports available including one for your club badge or standard centre.